Let Jenece turn your mug into a masterpiece with her face art! cincomom June 9, 2013 Comments Off on Let Jenece turn your mug into a masterpiece with her face art! Whoever said beauty is in the eye of the beholder was blind because it’s evident that makeup artists BEHOLD the power to make us all look a little better. No, a LOT better. Add some foundation to cover up those dark marks, some concealer to lighten up the circles around those eyes and since we’re talking about eyes, some lashes will give you fabulous flair and a little lipstick goes a long way to give your lips some pop when you pucker up! And makeup artists have that magic hand to transform your mug into a beautiful masterpiece! Jenece Horton is a Philadelphia-based makeup artist seeking out new faces to make FIERCE. Jenece recently received a certification for Professional Makeup Artistry and learned specific techniques to master the art of makeup. From helping brides glow on their special day to teaching the everyday mom on how to enhance her appearance, Jenece’s work is FLAWLESS. Jenece said she’s been doing makeup since junior high school. “I would do hair & makeup of friends and family and although I was young, I would execute good work. I’m now at a point in my life where I am able to take my skills to the next level,” she said. Expect Jenece to “beat” the faces of the best entertainers out there soon enough. And she’s no stranger to the entertainment industry with her husband Will “Spank” Horton being one of the hottest comedians on the comedy circuit right now touring the country as one of of Kevin Hart’s “Plastic Cup Boyz.” She’ll face off with Hollywood’s finest soon enough but right now Jenece is focused on the beautiful faces in the City of Brotherly Love. I’ve always used makeup and I can’t tell you how surprised I am that so many women don’t use it, even if just a little to enhance their look. Make up gives a woman that well-put-together look. 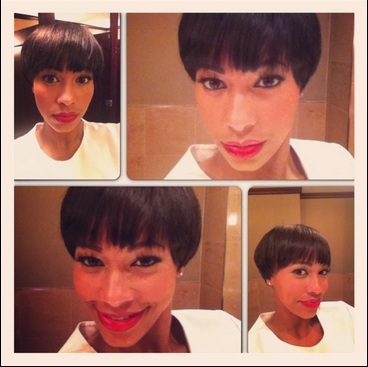 And as you can see above from Jenece’s work, it doesn’t have to be a lot of make-up. 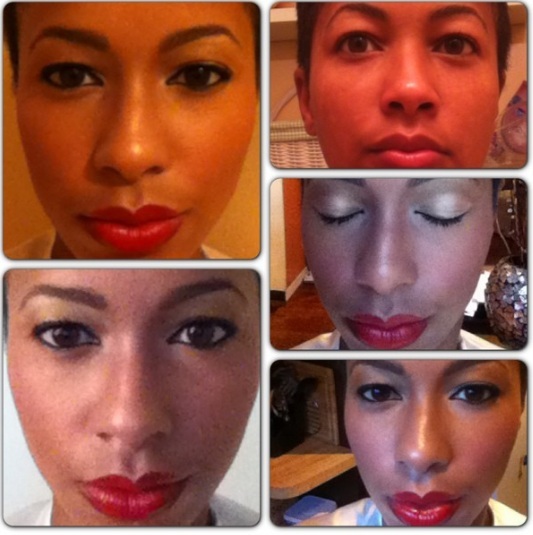 Jenece’s makeup was applied to give her a natural look. Jenece is also one of my longtime girlfriends who I love and adore. I want my Philly, tri-state peeps to support her and think of Jenece first if you need a makeup artist for hairshows, photoshoots, weddings, or any events where her services are needed. 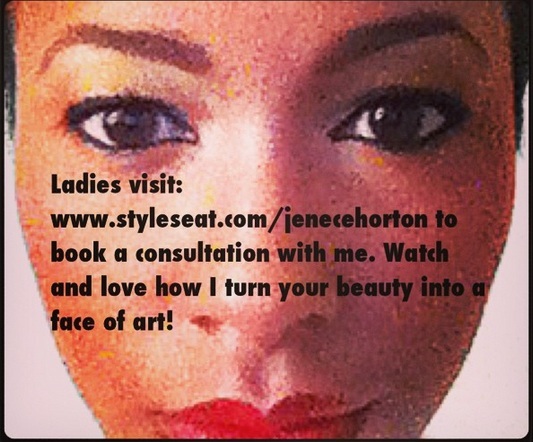 Book her by going to Styleseat.com/jenecehorton! And as an addition, if you book Jenece for your photoshoot or event, I will give you FREE advertising on my blog for THREE months and feature your business with a blog post through my network! Ya’ll know how expensive advertising is these days so this is a major deal! Just tell Jenece Cincomom sent you! Raising Brown Girl Magic + Mikaela’s Crazy Knee Socks For a Cause!